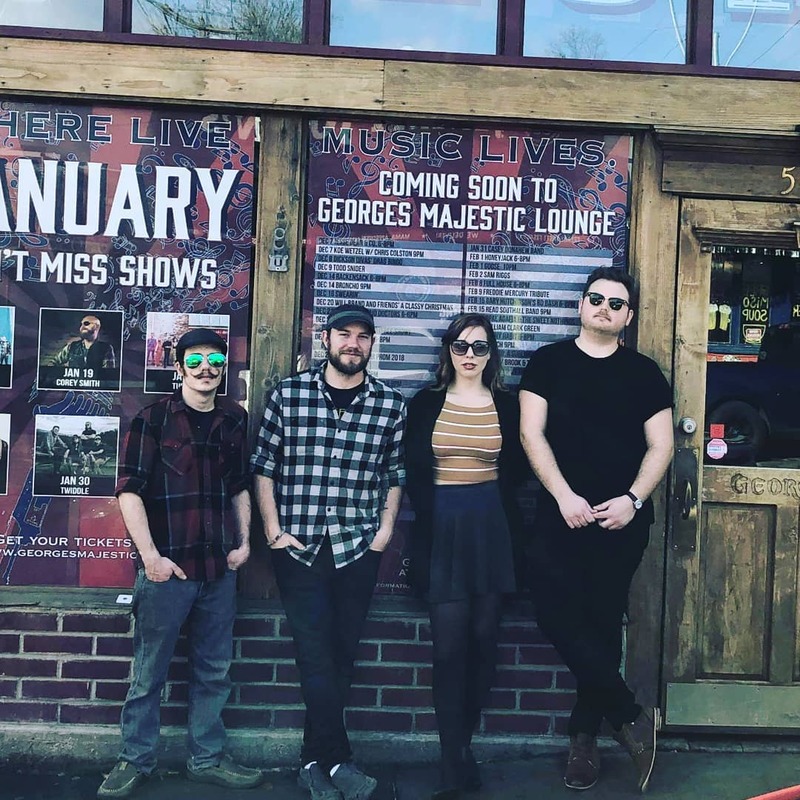 Founded by Florida native Jamie Lou Connolly, Arkansas’ Jamie Lou and The Hullaballoo have been called a modern Fleetwood Mac and equated to a female-fronted Wilco. Driven by the “dreamy voice” (Arkansas Times) and seasoned poetry of Connolly, and bolstered by the impressive collective talent that is The Hullaballoo, the Femi-Socialite EP marks Jamie Lou’s most beautiful, gritty, diverse, and self-assured collection of songs to date. Musically the album takes no prisoners. Opening track “When Someday,” marries a dark groove between drums and finger-picked acoustic guitar to vocals filled with the sorrow of an Appalachian murder ballad and a guitar solo right at home on Dark Side of the Moon. “You Can’t” draws heavily from Southern soul, while “It Is What It Is” and “Don’t Think” evoke an early ‘90s college radio vibe. “I go through genre phases,” Connolly admits, and attributes this to growing up with musical parents. “Sometimes I’ll be listening to Michael Franks and [write] a bunch of jazz rock songs. Or I’ll be listening to the Byrds and start to write more Americana.” For example, the banjo-laced “Runnin’ on this Heart” and title track, “Femi-Socialite,” were both written during a country phase. “As a band, we have actually had a lot of fun playing [these two],” she adds. Like track two, this collection of songs is what it is: genre-spanning, “dreamy,” soulful, gritty. It’s the reaping of seeds planted and nurtured collectively on-stage, a cohesive vison made audibly manifest.